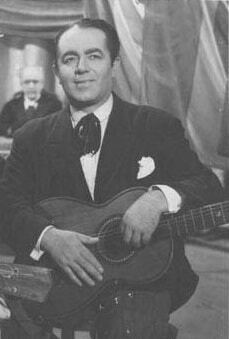 “Duelo criollo” by Carlos Di Sarli y su Orquesta Típica with Jorge Durán in vocals, 1946. This Rosario artist met music while a teenager, when the estribillistas (refrain singers) were to appear in the orchestras and the De Caro brothers had not yet made their innovating appearance that would cause another turning point, the definitive one, in the musical history of tango. When over half century later he was asked about present tango, he said: «A new modernist theory that is based on a cerebral, but twisted tango has arisen. The work of the consecrated artists of the first stage has been underestimated to open the way to a music of hardened technique which is not popular. Among the musicians that interpret it there are great names, but they have spoiled the rhythm of true tango». Continue reading.